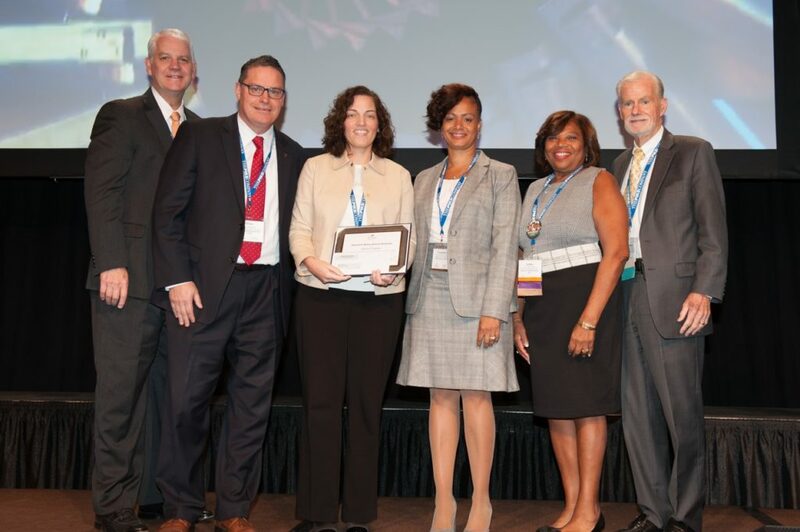 Valley Stream Union Free School District Thirteen’s Assistant Superintendent for Curriculum and Instruction Judy LaRocca recently received The Raymond R. Delaney Memorial Scholarship from the New York State Council of School Superintendents at the Fall Leadership Conference in Saratoga, New York. The annual scholarship is presented to an individual enrolled in a graduate study program through which a school district administrator certificate or doctoral degree may be earned. LaRocca is currently pursuing a doctorate degree in administration and supervision at St. John’s University. In her first year in the Valley Stream UFSD Thirteen, LaRocca led the District’s curriculum and instruction committee through the review and adoption of a new English Language Arts program, revised the APPR and academic intervention services plan and implemented the new Math in Focus program. The following year she engineered the roll out of the new ELA program and ensured that the new science programs aligned with the State standards.